Aldi Travel is a licensed travel agency in Alanya. We organize travel services since 1997. We let our customers to save their time and money also providing them a high quality service. In our Travel Agency employees highly trained specialists that are licensed by the Ministry of Tourism of Turkey. We work 7 days a week to provide the best service to our guests. We organize more than 25 tours, each and every single excursion of ours is fully insured and maintained by our professional tour guides. You can make your reservatins online with NO DOWNPAYMENT , so you don’t need any credit cards, no money transfer. 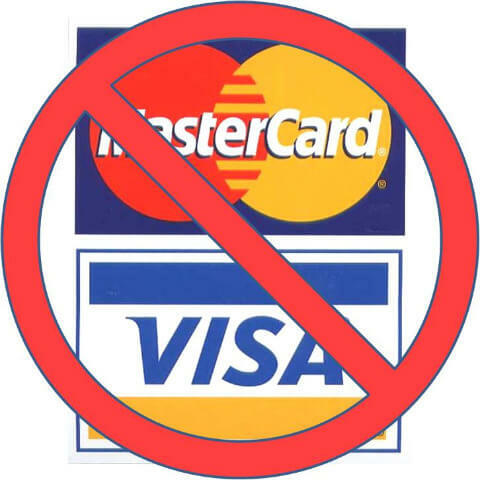 We accent payment when you arrive to Turkey and meet with us. We have lots of things to do in Alanya. You can check other popular tours. Dedicated Tour Guide and Professional Day Out ! Apart from various tour and activity options you can also be a part of personal tours during your Alanya holiday. With historical places of Alanya, Caste, City Terrace and gorgeous Cleopatra Beach, it contains all the possibilities to let you spend pleasant time. Our best seller and the most recommended tours in Alanya are Alanya Boat Trip and Alanya Jeep Safari Tour. It is possible to see the bays and the beaches that you can’t see by yourselves but with our boat tour. Also in our Jeep Safari tour, you will have the opportunity of seeing famous Dim River. Now, let’s see what you can do in Alanya and what kind of services we can provide in details. Alanya is one the precious regions of Mediterranean which both domestic and foreign tourists are running during the summer period. The demand is getting higher by every passing day. Every year, supply density of both tours and activities are increasing in parallel of the increasing demand. Since the city of Alanya is not so large, you can walk around the city on foot. It has a unique view with its endless coastline. With the bars street, which is located in the city center, it has a really colorful and nice night life. We recommend you the check out our Popular Tours if you are coming to Alanya for a weekend or 2-3 days of visit. You can see everywhere around Alanya with various type of activities. If you have special requests, you can also check out our Private Tours. Our private tours are available both for individuals and groups. 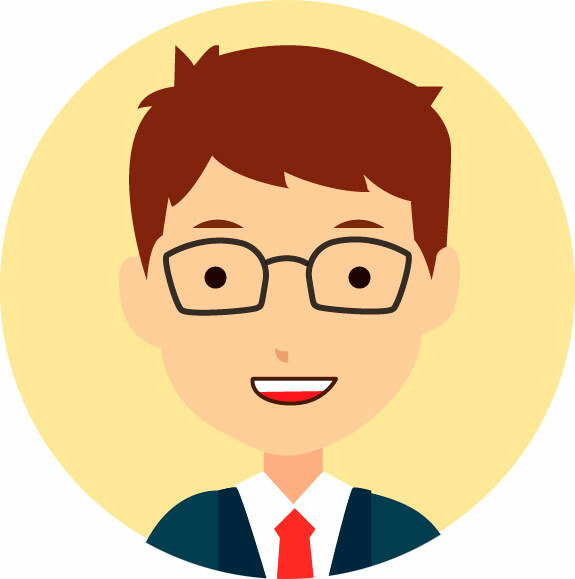 Give us detailed information and we will do the best for you. If you would like to know here below you can find the details of Alanya Tours. Alanya Boat Trip contain the most desired activities. 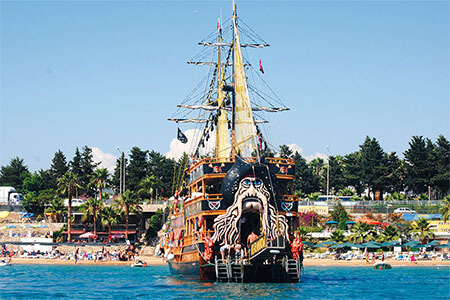 We have around 30 activities and many different boat tours in Alanya. Of course the most popular and the busy one is Alanya Boat Tour which sails to the bays of Alanya. Apart from that there are other boat tour options. Manavgat Boat Tour, Green Canyon Boat Tour or if you are interested in scuba diving, Alanya Scuba Diving Tour can be found as the alternative boat tours. 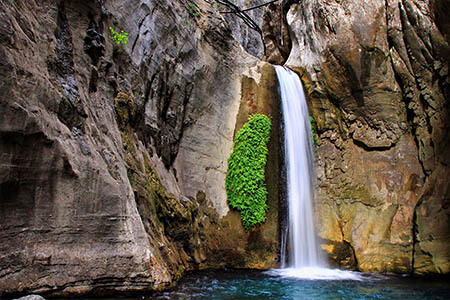 Green Canyon is located in one and a half hour away from Alanya and according to our definition it is a hidden heaven. Our company is proud of serving to numerous guests in Alanya since 1997. In addition to that we can provide our shuttle services for the guest who are not staying in Alanya but in a certain places close to Alanya such as Konaklı, Avsallar, Okurcalar,Türkler or Mahmutlar. Without any hesitation you can ask to us if we have a shuttle service to your location. We provide shuttle service 99% of the region. You can check out our tours to have detailed information. 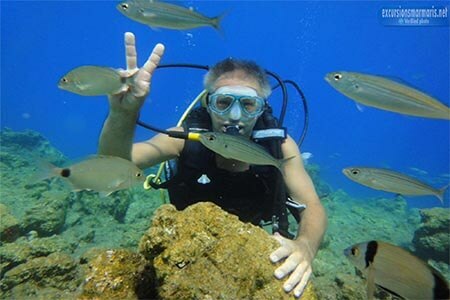 In Alanya there are many types of adrenalin tours. The main ones, which we are organizing, are Jeep Safari, ATV Safari and Horse Safari. Our most popular tour is of course the Jeep Safari Tour. 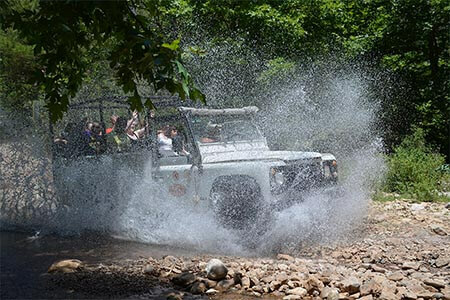 Jeep Safari Tour is a tour that lasts all day long and visits a lot of beautiful places. Mainly it visits Dim River and Dam of Dim. We spend the day with observing unique nature landscapes and doing Off-Road. We are having a break along the Dim River to have some food and to swim. You can swim in the cold water of Dim River or you can chill in the swimming pool of our facility. We are providing to you an open buffet while considering the best for your taste. 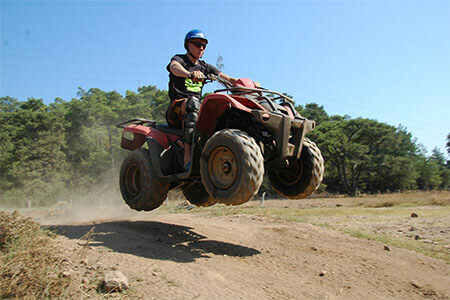 Although Alanya ATV Tour is a slower one, the time can vary according to your driving speed. It is being performed in our professional racetrack with complete security and without any requirement of any driving license. If you prefer the nature, we recommend you to join our Horse Safari Tour. The Horse Safari Tour, which is accompanied by professional guides, is held in a complete natural environment. Are you ready to fly with Alanya Paragliding? 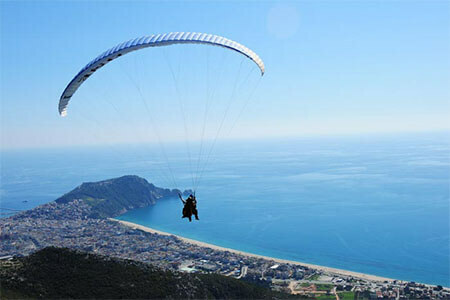 Alanya is a famous place with the paragliding which starts from the Taurus Mountains and lands on the Cleopatra Beach. If you would like to fly, Alanya provides you a unique opportunity. With an approx. 30mins of flying time, we are providing professional pictures and video of your unforgettable experience. 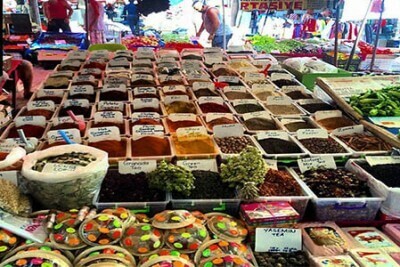 In Alanya, there are various types of culture and history tours. We are at your disposal with our Pamukkale and Cappadocia tours which are being host for thousands of tourist every year and departing from Alanya. 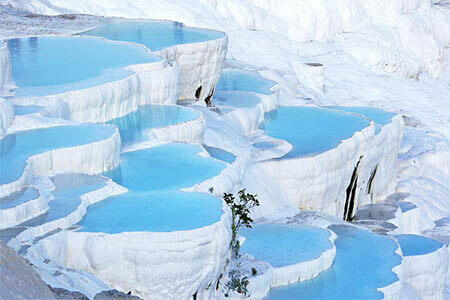 Alanya Pamukkale tours are being offered in two alternatives as 2 days and daily. In our 2 days tour, we are providing a stay in a 4 star hotel. At the same time our tour guide can perform the tour in English, German and Russian. 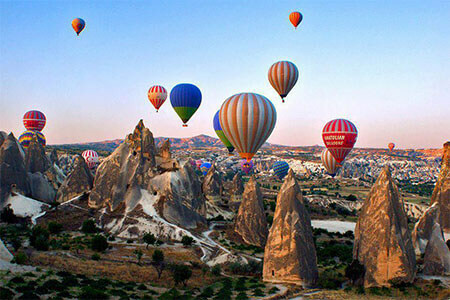 As well as this one, Alanya Cappadocia tour also being offered also with two alternatives but this time as 2 days and 3 days. We provide a stay in a beautiful boutique hotel in Göreme. 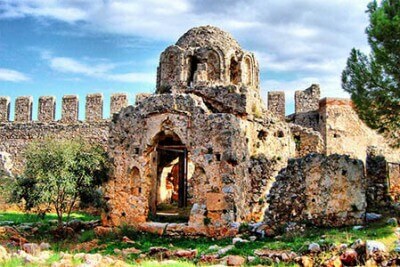 If you prefer to join a short history and nature tour in Alanya, our M.A.S tour can be a good option for you. You can visit both the Manavgat Waterfall and Aspendos Ancient City. 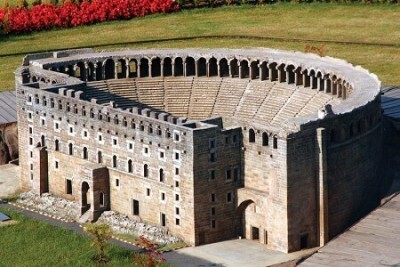 When you visit Aspendos, it is unimaginable not to visit Side. During the Side visit, as you wish, you can shop or you can spend a quality time by walking along the seaside of Side. 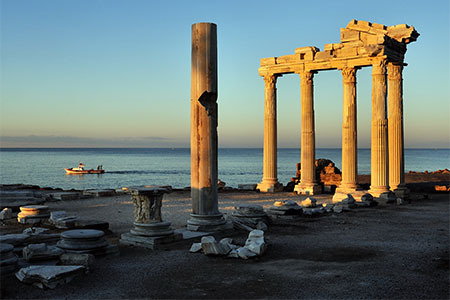 The Apollon Tample, which is located at the seaside, is identified with Side. Don’t forget to visit. If you share your pictures with us, we will share them on our social media accounts. By joining Alanya City Tour, you can discover beautiful places around Alanya. Accompanied by a professional guide, you can visit Alanya Castle, Alanya City Terrace, Dim Cave and Dim River. You will be informed about every place that you go and with this information you will receive free times. You can spend a nice day with different activities. Let’s talk about the other activities that you can do and have a general overview on them. 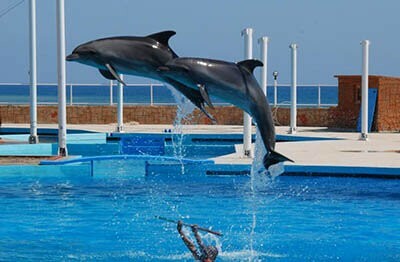 In Alanya, there are many types of activities. If we need to have a brief look on the most popular ones; Water Planet Water Park is the biggest water park of Alanya. 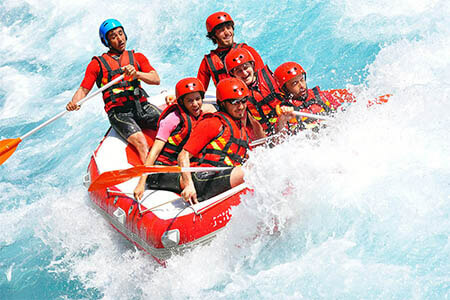 It is a complete facility with Bungee Jumping, artificial rafting section and various and numerous water slides. Another necessary activity is Star Craft Boat tour which is held at night on a boat which is designed as Disco. It is the first stop of the people who would like to have a fun night with foam party. Another activity that we can offer is the Fishing Tour. If you like to fish, you can join and use our professional equipment. It is a guaranteed tour. By the boats which are equipped with special gadgets to find fishes, we go directly to that part. Alanya is a location that many tourists are paying a visit during the weekend. If you’d like to relax yourself with small getaways, we have another offer for you. With Turkish Baths of Alanya Tour, you can feel better in Spa Center which provides massage, sauna, salt room, steam room and mud bath services.